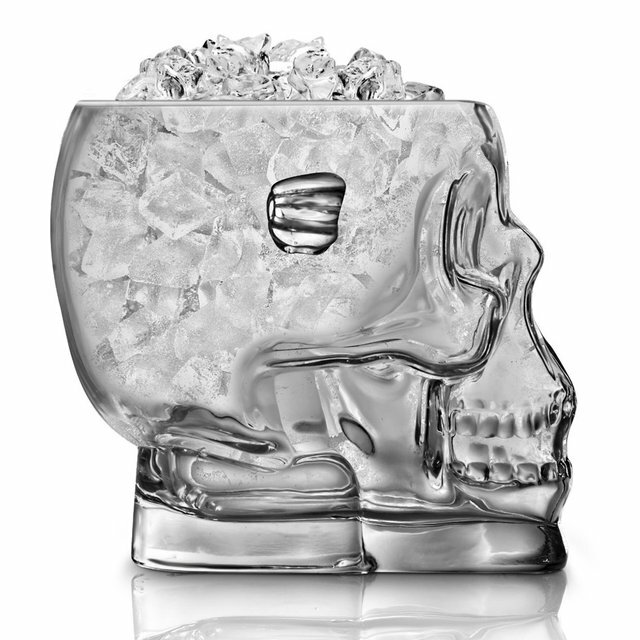 This Skull Ice Bucket can bring any lame party back from the dead. The spooky ice bucket is constructed from super thick cystal-clear glass and fits up to 54 ounces of ice cubes. Includes convenient handles on either side for easy carrying. A perfect item for your next ALS Ice Bucket Challenge, Halloween Party, or night in with friends.